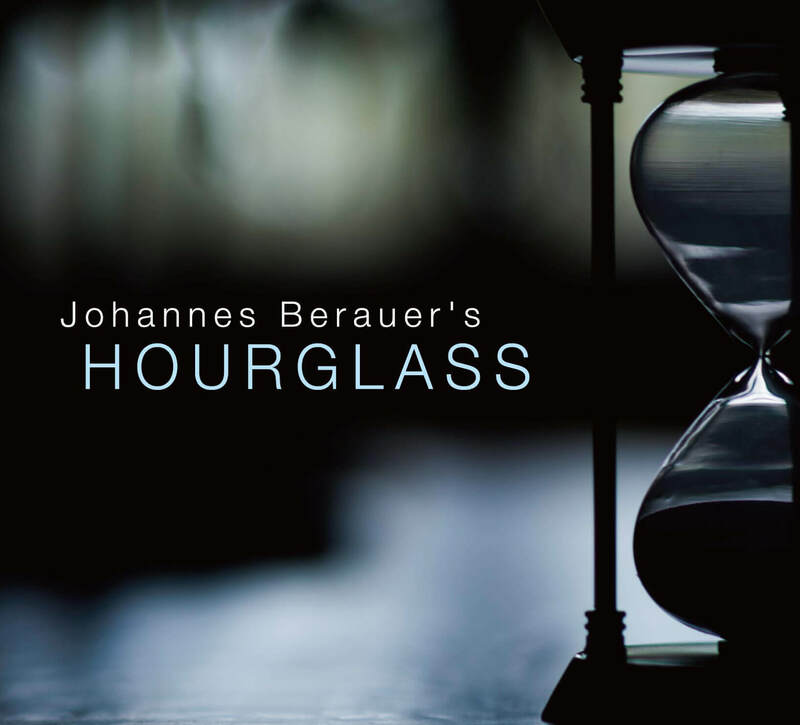 Basho Records released “Hourglass”, created by genre-busting Austrian composer Johannes Berauer, on Friday 20th July 2018. The recording features virtuosi Thomas Gould (violin), Gwilym Simcock (piano), Mike Walker (guitar), Martin Berauer (bass) and Bernhard Schimpelsberger (drums, percussion and Konnakol). The ensemble has already played a series of UK live dates in September to rapturous applause and excellent reviews and the touring continues in December 2018 and February 2019 to celebrate the album release. Johannes Berauer is one of the most productive and diverse young composers in Austria. He navigates effortlessly through musical styles such as classical avant-garde, jazz and world music. He was recently orchestral arranger and musical director for Oud master Anouar Brahem on his last ECM release “Souvenance”. With Indian Sarod virtuoso Soumik Datta he co-composed the music for the silent movie project “King of Ghosts” originally for the Scottish Chamber Orchestra, then the London Philharmonic Orchestra at the Queen Elizabeth Hall. An album of this music performed by the City of London Sinfonia has just been released by Shakespeare’s Globe. Gwilym Simcock, member of Pat Metheny’s current quartet, and Mike Walker who played with virtually everyone from Kenny Wheeler to Dave Holland are two of the finest musicians of the jazz scene. Violinist Thomas Gould has been described as “one of the most talented and charismatic British violinists of the younger generation” excelling in both classical and contemporary repertoire as well as Jazz. He is director of the Britten Sinfonia. Likewise, Martin Berauer and Bernhard Schimpelsberger are two of the leading young musicians of Austria. Martin, living in Paris, is especially known for his expertise in the field of world music, and Bernhard, based in London, has built a reputation as a master of Indian Rhythms, which lead him to collaborations with artists like Akram Khan or Anoushka Shankar.